This is the second in the series of articles on light. In this article, we will be discussing about how our eyes perceive light, as well as, colour temperature. Previously, we discussed that there are three standards that are used to measure daylight. Of the three, the D55 standard is used for measuring light at noon. Different units are used for measuring light. We will be discussing three of them here. A foot-candle is equal to the light from a candle placed one foot away. A 23-watt bulb produces light equal to that produced by 125 candles. Lumen actually measures the power of light that our eyes perceive. A 23-watt bulb will produce light equivalent to 1,600 lumen. The unit that you should be concerning yourself with is the Lux. It factors in the area that a light source will illuminate. That is why, most public places have their minimum lighting requirement specified in Lux. If you have a 100-watt incandescent lamp, it will produce: 1,750 lumens or 137 foot candles. From the notes of British physicist William Kelvin comes the first known case of a scientist discovering the existence of colour temperature. On heating a block of carbon, Kelvin saw that the varying temperature produced lights of different colors. The block turned dim red when it was heated initially. After that it turned yellow that became brighter as the temperature of the block increased. When it reached the higher temperatures, the block started giving off a blue-white glow. Thus, the simplest way of defining colour temperature is measurement of the colour of a specific light source. Unsurprisingly, the unit for colour temperature is degrees of Kelvin. Knowing what we know about colour temperature means being able to manipulate it for our use. For instance, when you are indoors, 3,200 K colour temperature will result in great, natural looking pictures. However, if you apply the same temperature when taking pictures outside, you will end up with images that look blue. 5,500 K is good for when taking pictures outdoors. The images will look come out looking yellow, if you use it inside! Colour temperature isn’t just good for taking pictures though. Along with light intensity, it can influence how we perceive colours. For instance, with the colour temperature being 5,000 K, your eyes will be able to see pure white. The day would have to be clear for that and the intensity of light equivalent to 13,600 foot-candles. On cloudy days, you will need a colour temperature of 6,650 K to make that happen. Our eyes have two types of light preceptors, rods and cones. The rod cells are sensitive to light and only work best in low light. Cones help us see in highly illuminated ambiances. At night, light sources look bluish to our eyes because the rods are hard at work. 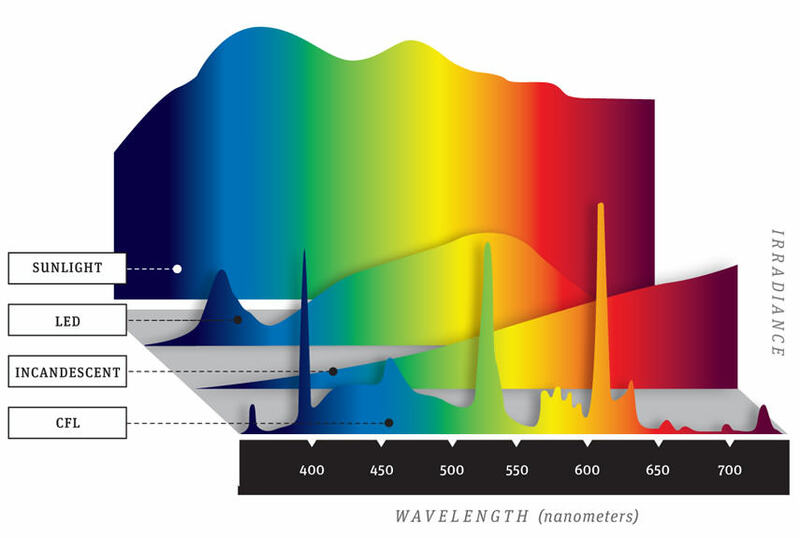 For our eyes to see pure white, the colour temperature of a light source would need to be 4,700 K.
The iris controls the amount of light entering our eyes. The amount of light influences our colour perception. While reading, our eyes focus on the same area. That means, our field of view remains the same, as does the image on the retina. Therefore, we use the same amount of rod and cone cells when we keep reading. Another factor that determines how we perceive colours is the overall environment. While standing in an artificially illuminated room, even daylight will appear bluer to your eyes. This is because the rods in your eyes will have adjusted to a lower light level. Similarly, using a 5,500 K light source indoors will make the light look cold and bluish. The Color Rendering Index (CRI) is a measurement of how accurate colors appear under a specific light source. The CRI is measured on a scale of 1–100. Light with just one color has a rating of 1, whereas natural sunlight has a CRI of 100. For example, standard daylight tubes have only moderate color rendering with a CRI of around 75. To get closer to real daylight, special light-emitting diode (LED) lights are available, which can be dimmed as well as alter color temperature from yellow (2,500 K) up to blue (6,500 K). It is possible to get LED light sources exceptionally close to natural sunlight with a CRI of 96 or even 99. How do we perceive white? Color temperature and the intensity of the ambient light determine how we perceive colors. On a sunny day, the light level measures 13,600 foot candles (the light from one candle, placed one foot away) and 5,000 K. In this light we perceive pure white. If it is a cloudy day, the light measures about 3,200 foot candles and has a color temperature of 6,650 K. When we move indoors, or at night, the iris opens wider and more of the light sensitive rod cells are at work. Since rod cells have a higher sensitivity to blue, we perceive the light source as bluish, while 4,700 K appears white. If you go into a museum, the light level is usually further reduced by a factor of 10 from about 200 to 20 foot candles. The rod cells are used even more and 4,700 K now appears bluish or cold while 3,500 K appears white. It is important to note that as the iris changes in size, the actual image on the retina does not change. Thus, for a given field of view, such as reading, the same numbers of rod and cone cells are exposed. It is the amount of light which triggers a larger visual influence of the cone cells for higher illumination and the rods for lower illumination. The overall environment also affects the perception of color. For example, if you introduce a small beam of daylight into a room illuminated by incandescent light, it will appear bluish, because your eyes will be adjusted to the lower light level which activates more blue orientated rod cells. What is the perfect artificial light source? The best artificial light sources are LEDs because they can be manufactured to have a color spectrum that comes the closest to the D55 standard. 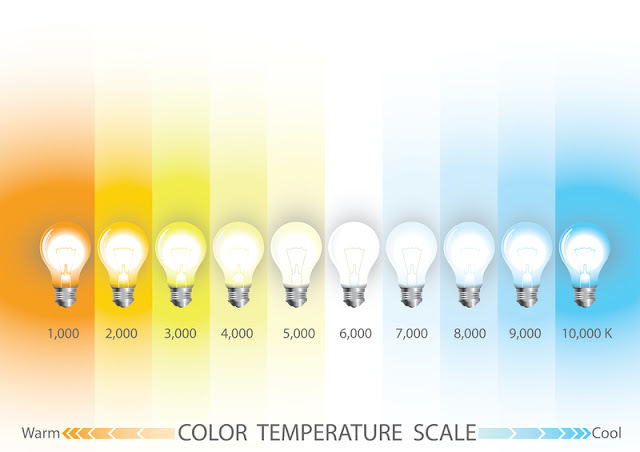 For the best results, you need to choose the color temperature that is most suitable for your light level. For indoor use, like an office, look for a bulb of 4,700 K. If you want a lower light level for computer work, then consider a 4,100 K or 3,500 K bulb. The basic idea is to make white appear white in all light conditions and thus the most comfortable for your eyes. Why Haven't I Heard About This Before? Surprisingly, training your eyesight for vision improvement isn’t something new. It has been used since the early 1900's. It all started when Helmholtz published his paper about accommodation and lens focus in 1885. According to Helmholtz, when the eye needs to focus on something close by, the ciliary muscle surrounding the lens contracts, causing the lens to expand. An expanded lens can focus on nearby objects. What is wrong with the picture that Helmholtz painted for us all those years ago? It assumes that when the eye focuses, only the ciliary muscle is involved in the process. Let us look at something like walking. A combination of muscles work together to make it possible for us to walk. Not only are the muscles help you move, they are also maintaining your balance while you do. 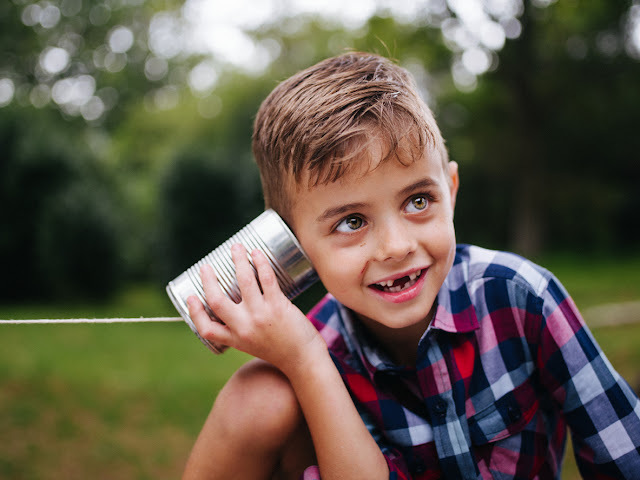 All the activities are coordinated by the brain, which controls the various muscles by signaling them when to contract or relax and for how long. Fluorescent light tubes was introduced by General Electric at both the New York and San Francisco World Fairs in 1932. Compact Fluorescent Light CFL was also developed by General Electric in 1973, but the 25 million dollars needed the build a factory was considered too expensive at the time so it was not produced outside the laboratory. The design was eventually copied by others. 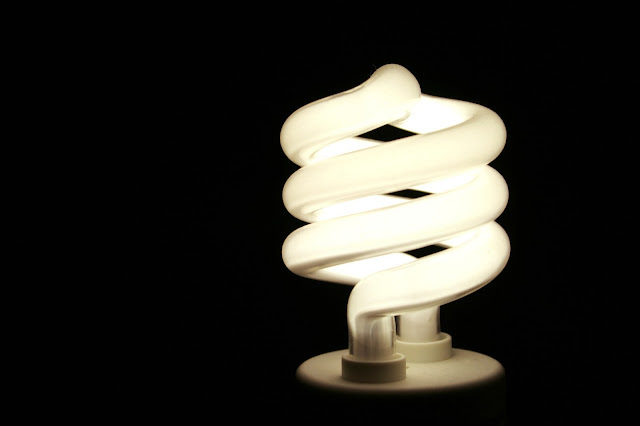 In 1995, helical CFLs, were manufactured in China and became commercially available. Since that time, their sales have steadily increased. In 2005 the EU began phasing out incandescent light bulbs in favour of CFL’s the US followed in 2014. The rationale is energy sawing since the CFL are using less energy than the old-fashioned Edison incandescent lamp. However, the newer solid state Light Emitting Diodes L.E.D. technology is far more energy efficient. L.E.D lights use 80% less energy and has a lifespan approaching 40 years of continuous use and has no mercury.